If You Thought Hairspray Was Just To Control Unruly Hair, Think Again! 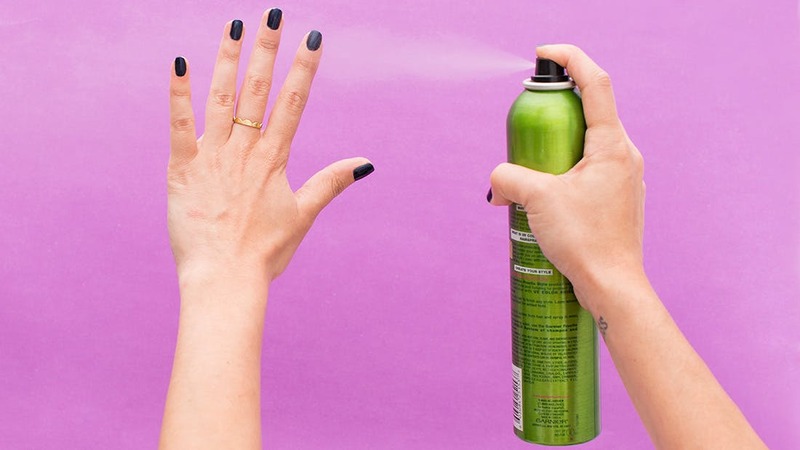 There are so many great uses for hairspray at home. We’ve collected 35 of the most brilliant uses that you probably didn’t know before. 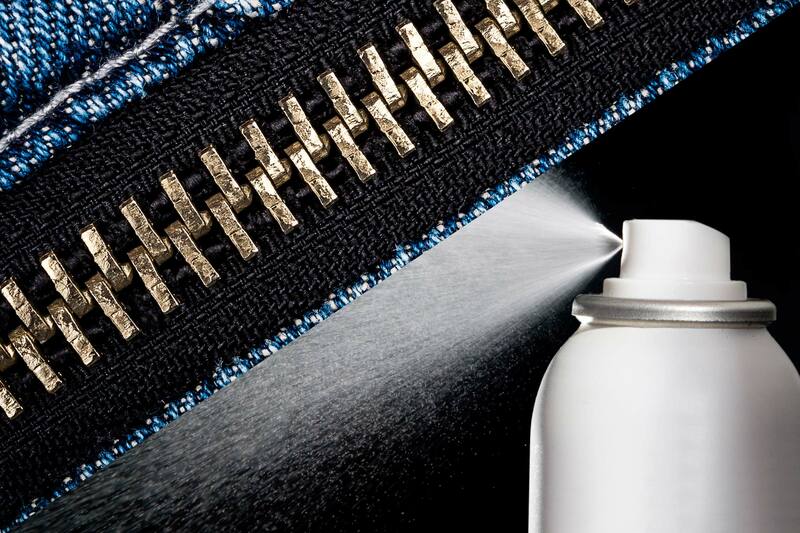 Hairspray can do everything from removing leather stains to preventing your feet from slipping in your shoes. Take a look through this list and you’ll never want to be without hairspray at home again! 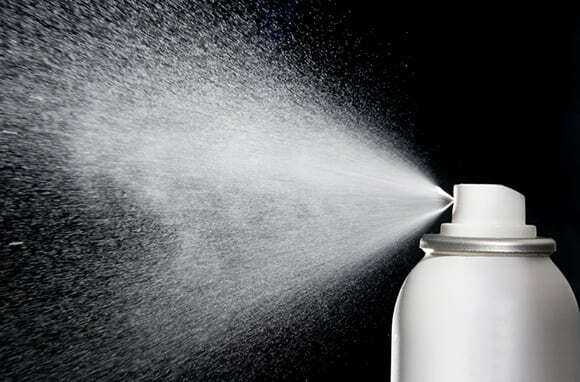 If you have leather shoes or furniture that have some marks or stains on them, hairspray can remove them. Spray some on the stain, and then use a clean cloth to wipe them down. 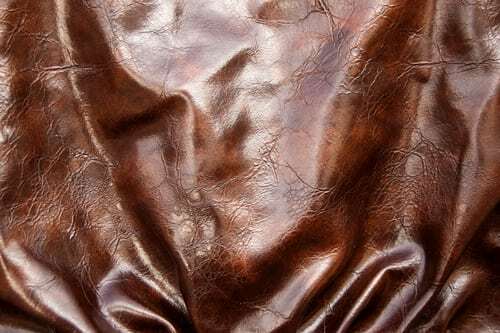 Your leather will look as good as new. 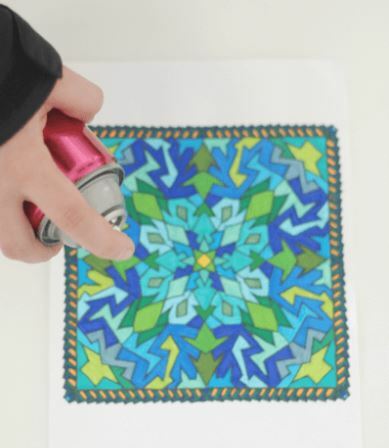 If you or your kid likes to draw with chalk, but you hate how it wipes off so easily, consider spraying the finished masterpiece with some hairspray. 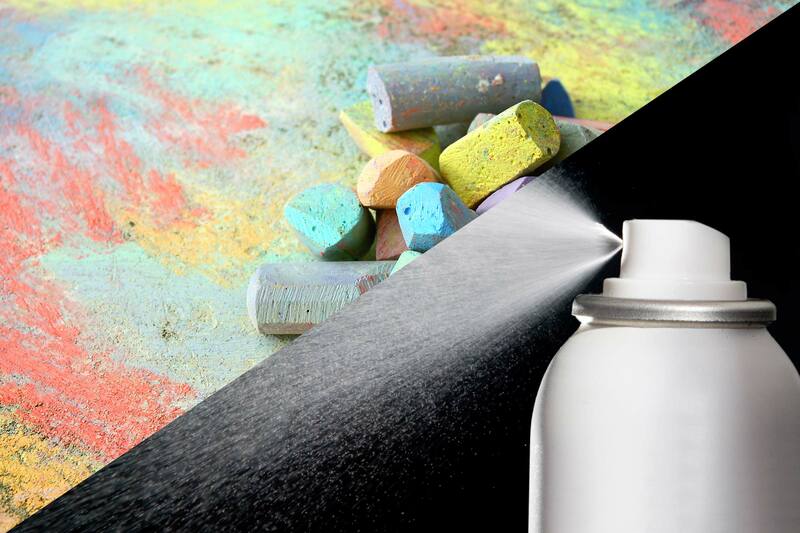 The hairspray won’t let the chalk wipe off as easily, so you can proudly display it without worry. 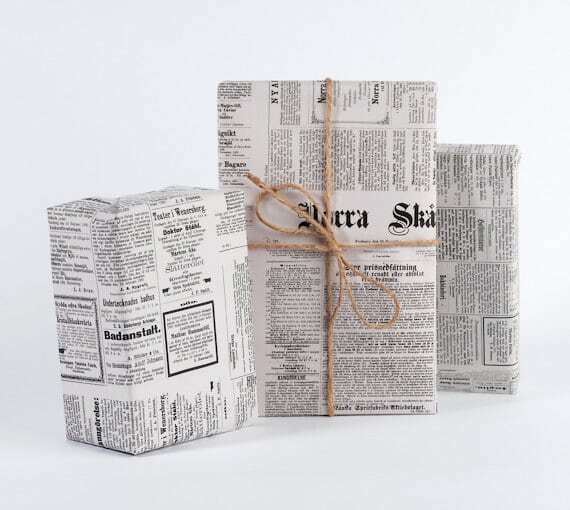 It’s a great way to make your arts and crafts last longer. Are you having trouble getting a frayed thread through a needle? Spray the end of the thread with some hairspray. It will stiffen up and be easier to get through the eye of the needle. Now you can sew on those buttons twice as fast. Have some special flowers you want to save? Drying them can make them crunchy and cause them to fall apart. However, you can preserve them by spraying them with hairspray. 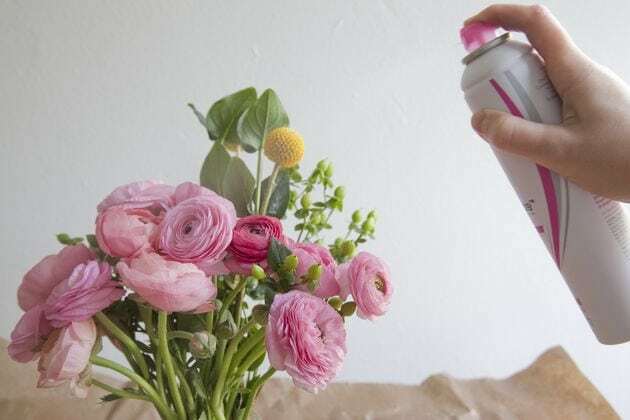 A few sprays and your flowers will look better and last longer. Sometimes, zippers don’t want to stay up. That can be embarrassing. Keep your zipper in place by spraying it with hairspray. The hair spray will keep you zipper up so you don’t have to constantly check it. 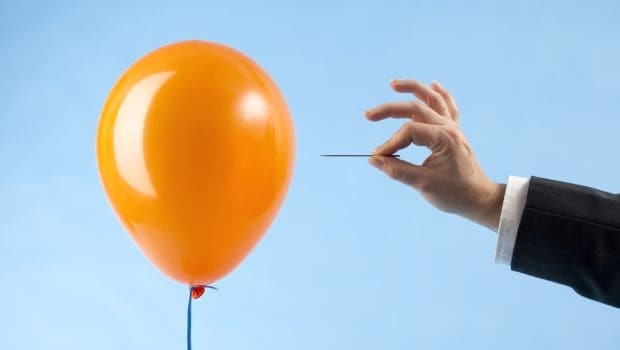 Want to keep your balloons from popping so easily? 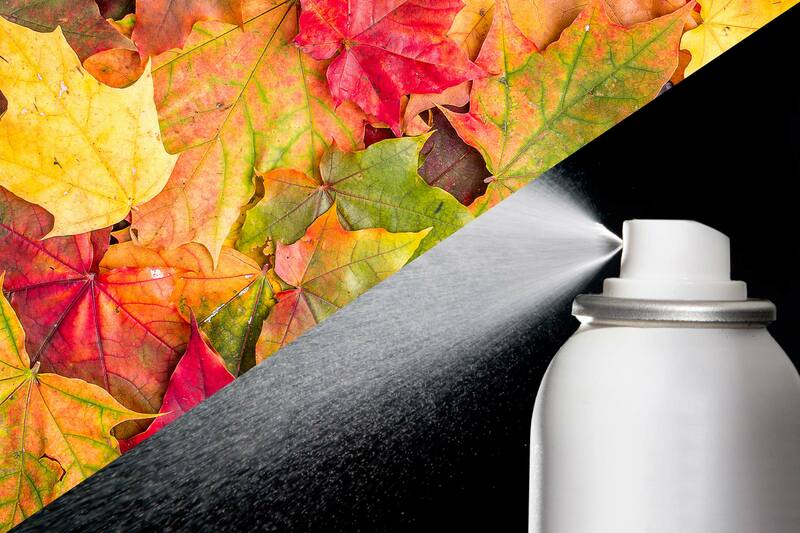 Spray them with hairspray to add a layer of protection and make them last a little longer. This will also help reduce the static cling of the balloons, so they don’t stick to everything. If you make art with markers or ink, it can easily become smudged. Protect it by spraying the dried surface with hairspray. No more smudges! Now your art can last longer and look more professional. Are your shoes rubbing on your heels and slipping off your feet? Add a little hairspray to the inside heel of the shoe to keep it in place and avoid blisters. You also could spray the bottom of your feet. If you are worried about your stockings getting ripped, simply spray them with some hairspray before you put them on. They will be stronger than ever. Now you can take on the day without any worries. Few things are as frustrating as a run in your hose. You can stop a run from getting worse by spraying the hose with hairspray. The hairspray bonds with the hose, so they are less likely to rip any further. Need to preserve some leaves for an art project or decoration? Spray them with hairspray to bring out their natural colors and to protect them. Your leaves will look better and last longer. 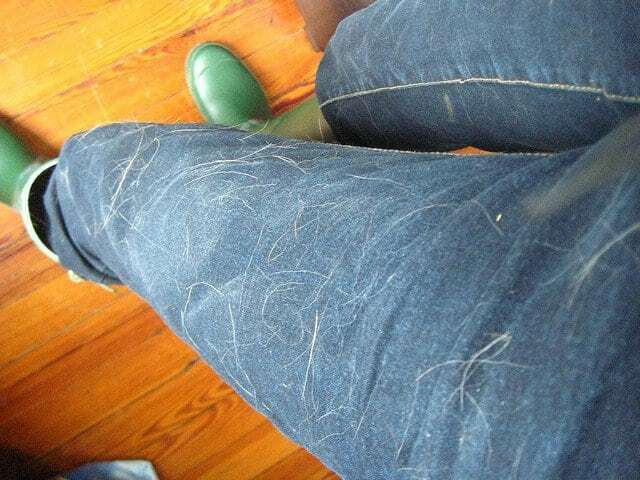 Pet hair can be hard to remove from furniture and clothing. To make it easier, spray some hairspray on a towel then rub it on the furry areas. 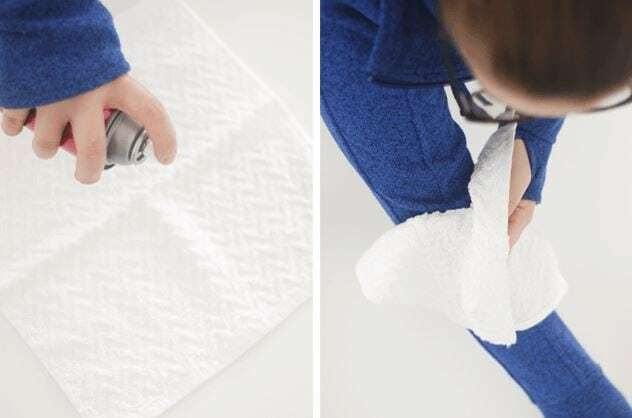 The towel will pick up hair much easier and will remove it from any surface. Lint can be difficult to remove. But if you spray a towel with hairspray, it picks lint up much more easily. No picking and peeling for hours. Just spray, wipe, and you’re done. 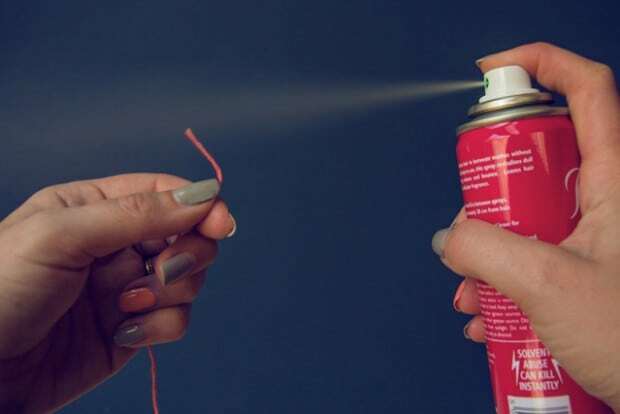 If you don’t have pepper spray and need to fight off an attack, spraying hairspray in a person’s or animal’s eyes can give you enough time to escape. If you don’t have pepper spray, hairspray can save you in a pinch. Just don’t forget to keep a small bottle in your purse or car. If you are ma\king an insect collection and need to preserve the insects, spraying or soaking them in hairspray can help. The hairspray will kill them quickly and also keep them looking great. 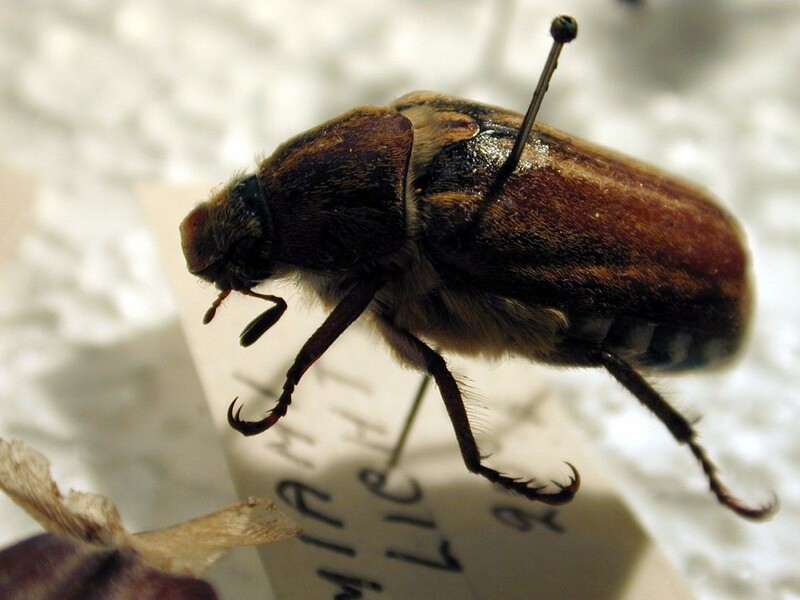 Your bug collection will be much easier to complete with this simple hack. If you want to use real food as décor, you can spray it with hairspray to make it shiny and to make it last longer. 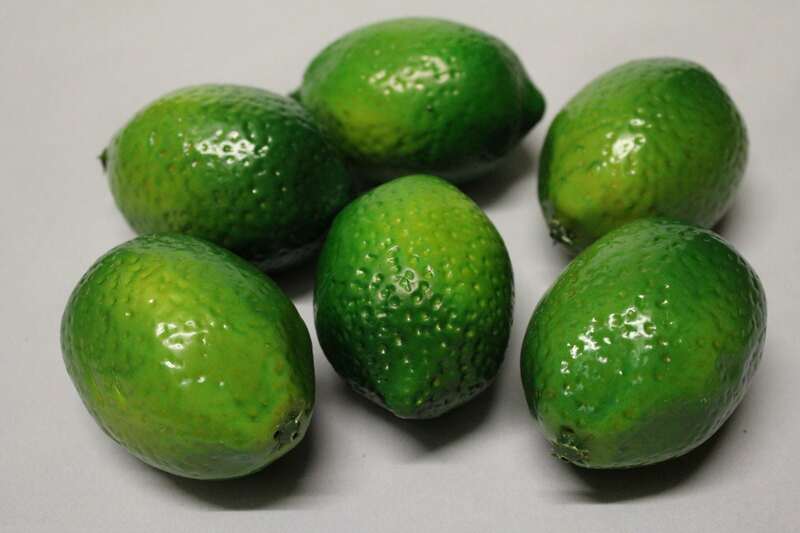 No need to spend money on expensive plastic fruit when you can make it yourself. Just don’t eat it. Recycle newspaper to use as wrapping paper by spraying it with hairspray. This will make it stronger and easier to fold and shape. This is a great way to save money and also upcycle. 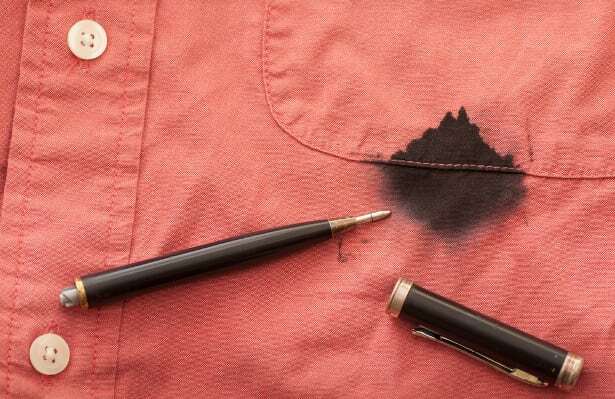 Ink stains are almost impossible to remove. However, hairspray can handle it. Spray it on the stain and then gently blot the ink up to remove it. 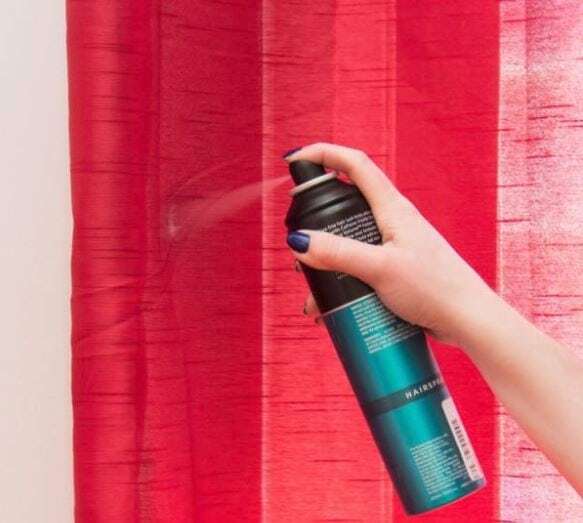 Want to straighten your curtains without taking them down and ironing them? Just spray them with hairspray. Then, just give them a quick fluff. 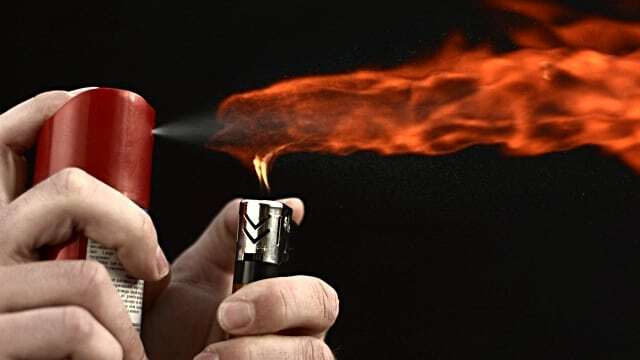 If you need to light a fire and have nothing else to start it with, simply spray some hairspray over the flame from a lighter. You can easily catch wood or paper on fire this way. This can be dangerous, so be careful. 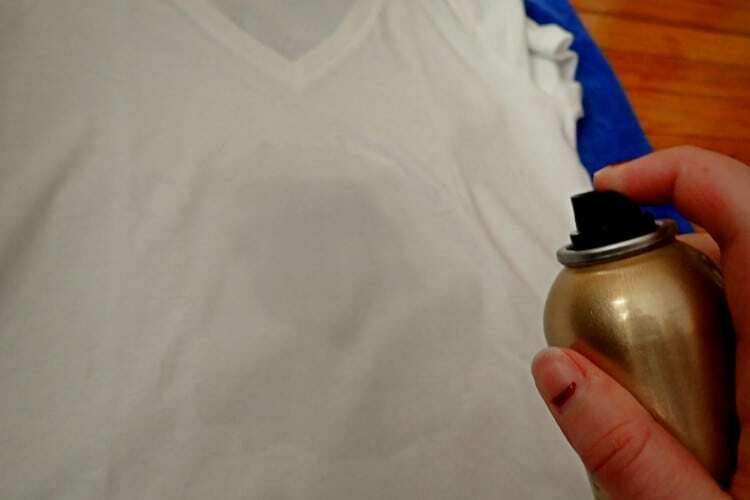 If you happen to drip some hair dye on your shirt, don’t panic. Simply spray the dyed area with hairspray. Then, gently blot the dye up to remove it. It can be almost impossible to get the glue off your skin and other surfaces. However, hairspray can loosen up the glue. 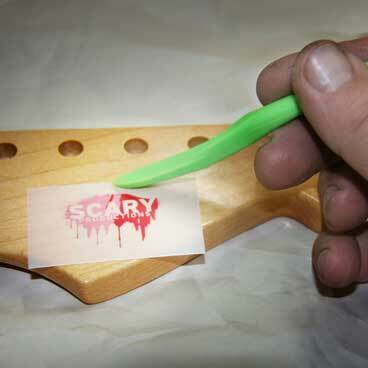 Then, it will peel off easily. 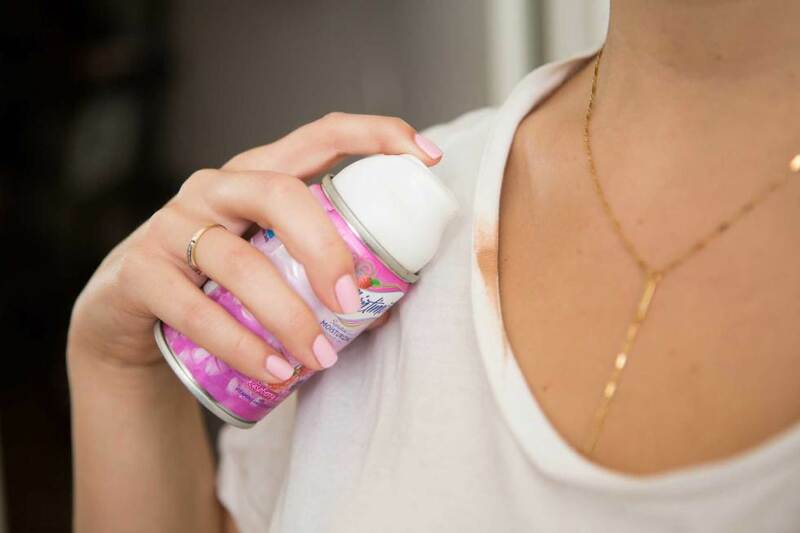 Lipstick stains can ruin your clothing or linens. However, hairspray can remove them without any problems. Simply spray the stain and blot it with a cloth. It should come right out. If you have a decal or image you would like to use as a transfer, you can spray hairspray on it and easily transfer it to a clean surface. No need to buy expensive kits or tools. You have everything you need in your bathroom cabinet. 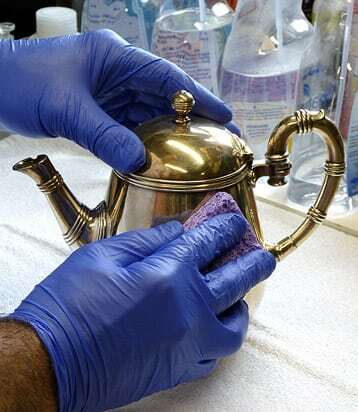 Need to polish your silver or metal décor? First. spray some hairspray on it. Then, use a cloth to rub it in. 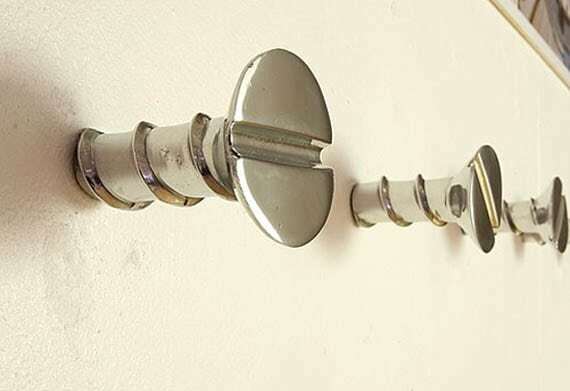 Secure screws by tightening them as much as possible. Then, spray them with hairspray to hold them in place. This makes them even more secure and can prevent things from slipping or breaking. 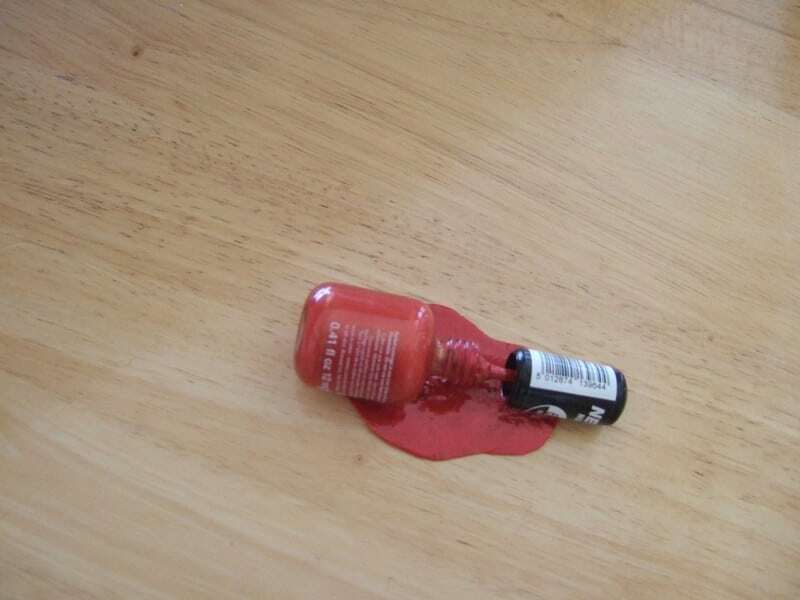 Did you accidentally spill some nail polish? Don’t scratch and pick at it. Just spray some hairspray on the spill, and you can wipe it up easily. 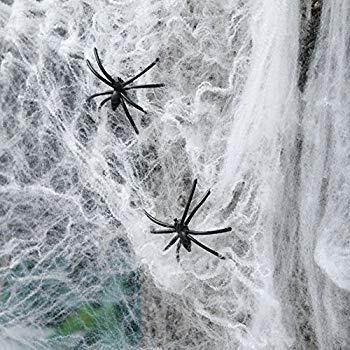 Those cute fake spider webs make great Halloween decorations. However, they can get everywhere. Keep them in place by spraying them with hairspray. 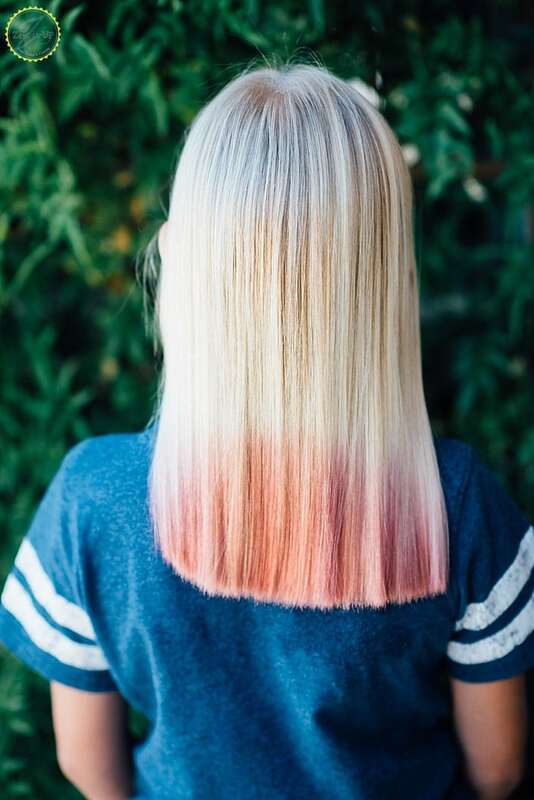 You can make your own temporary hair color by spraying your hair with hairspray and then sprinkling Kool-Aid on top of it. Just wash it out when you are done. 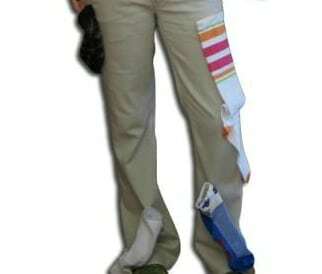 This is a great option for Halloween costumes and school spirit days. 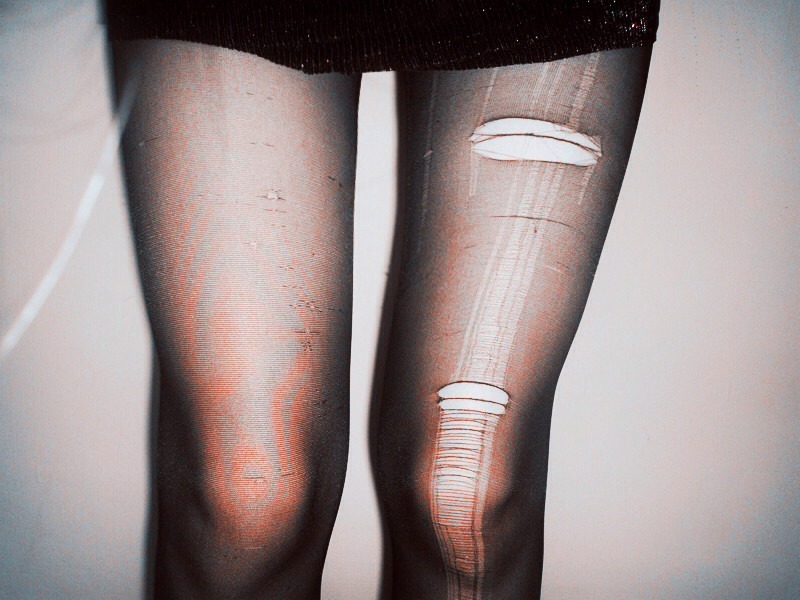 Are you tired of your dress sticking to your tights or legs? Just give the dress a quick spray of hairspray. This will get rid of that static cling. 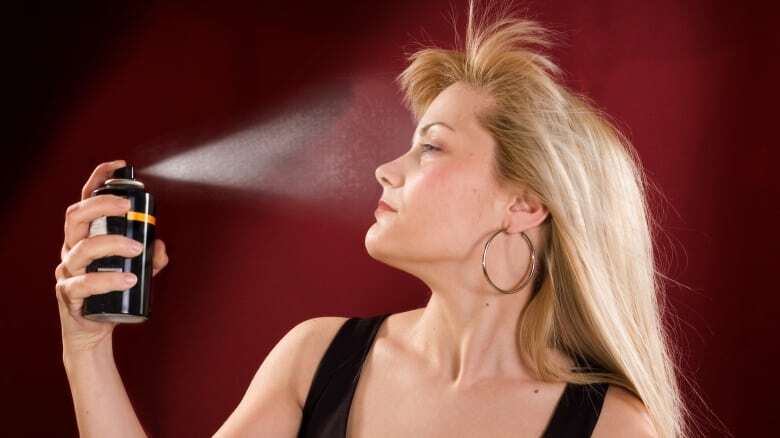 Hairspray is meant to keep your hair in place. However, instead of spraying it on your head, try spraying it on your brush or comb. Then, brush back your fly-aways to tame them. Sometimes, you need to do your nails fast. Instead of waiting on them to dry, just spray them with hairspray. Then, they will dry much faster. Tired of your makeup running? When you finish putting your makeup on, close your eyes and give your face a light spray with hairspray. Your makeup won’t run and will stay where you put it. Need to tame your eyebrows? 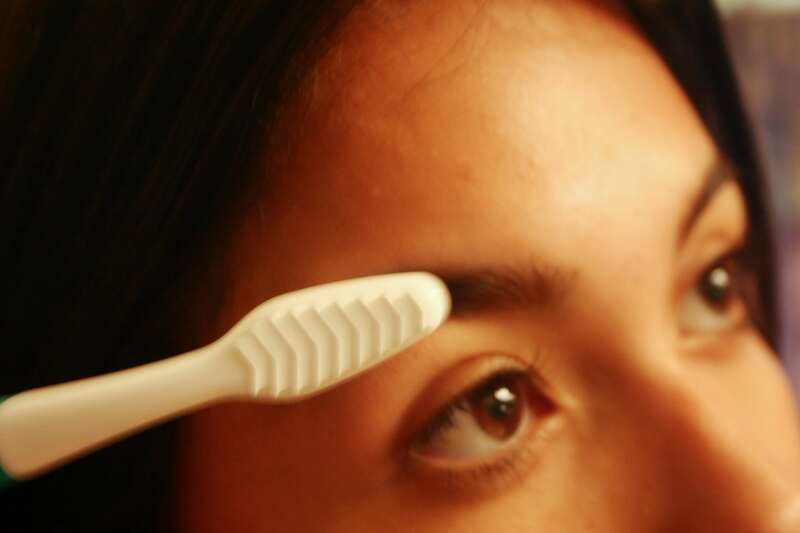 Spray a little hairspray on a toothbrush and brush your brows into place. It works better than expensive makeup, and it’s fast and easy. 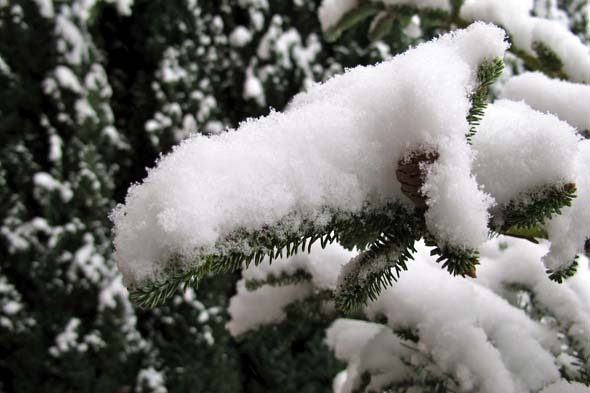 Love the look of fake snow on your Christmas tree but hate the mess? Keep it in place by spraying it with hairspray. It stays on the tree instead of your floor. Now you can take advantage of hairspray in many more ways than imagined.